To get a great start to the day, our breakfast buffet is served from 7.30 a.m. to 10 a.m. from monday to friday, and from 8.00 a.m. to 10 a.m. on the weekend and during july and august. At our breakfast buffet you’ll enjoy organic and regional products as well as homemade pastries. We also propose a range of savouries including cured meats and cheeses. You can enjoy your breakfast on one of our patios, or in our dining room. Breakfast is free for children under five years old. 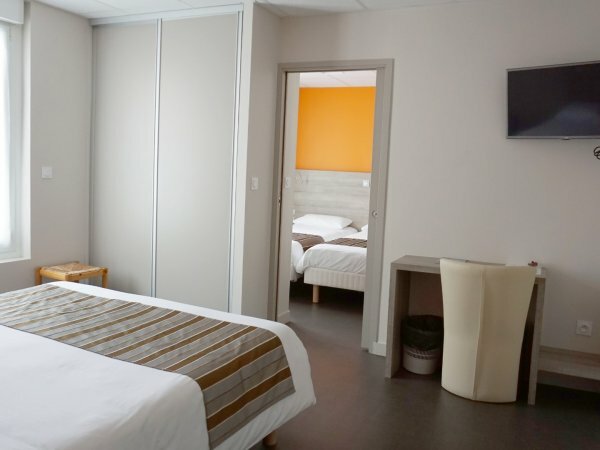 Get great value for money with this lovely room in our three star hotel. 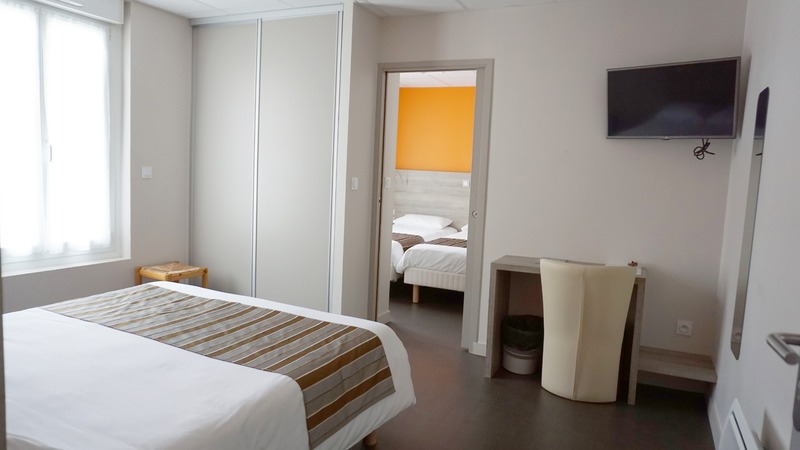 For even more comfort reserve this double room with a large double bed (160cm) and air conditioning. Room for 2 adults and a child under 17 years old. Room for 2 adults and two children under 17 years old. Room with air conditioning for 2 adults and a child under 17 years old.